As an important entity of this domain, we provide the handpicked quality of SS Kitchen Glass. Known for their elegant design and impeccable finish, these products are manufactured by using modern machinery. 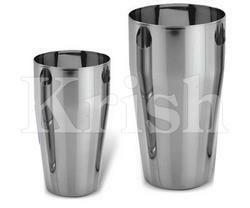 We are an established Manufacturer, Supplier and Exporter of Metal Water Glasses in Delhi. 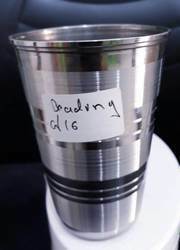 The Metal Water Glasses offered by us are durable in nature and quality tested before dispatching them to the customer. They are completely hygienic and can be used for serving and consumption of beverages. We are known for delivering bulk amount of Metal Water Glasses to both domestic and foreign market.